Do You Get a 1099-R for Money You Rolled Over? 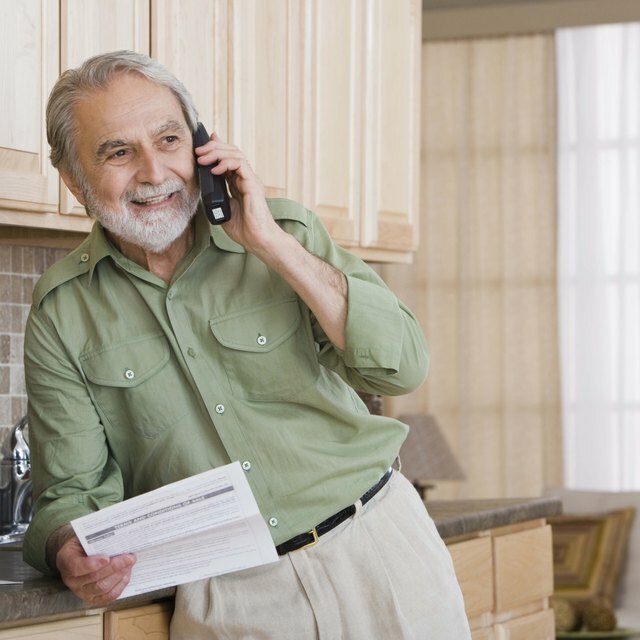 If you withdraw money from your retirement account or pension -- for whatever reason -- federal tax laws require the financial institution that holds the account to report the disbursements. Using Form 1099-R, the institution reports the total amount withdrawn for the year, the taxable portion of that amount (if known), and certain other information about the transaction or transactions. Both you and the IRS should get a copy of the 1099-R. Most people who receive a Form 1099-R are already in retirement, drawing on their retirement accounts or pensions. However, because the 1099-R is required whenever a disbursement is made, you should also receive a 1099-R for any tax year in which you rollover retirement funds from one account to another. The information on the 1099-R and the tax consequences differ depending on which type of rollover you choose. If a direct rollover is available to you, this is usually the best option. In a direct rollover, your retirement money is sent directly from your old retirement account to your new account. Aside from saving you the hassle of having to deal with the cash and the details of the rollover yourself, you also avoid tax withholding on the rollover amount -- unless you are rolling over from a traditional to a Roth account. This means that you won't need to make up the amount of the withholding with other money to complete the rollover. Regardless of the fact that you never touch the money, you will still receive a 1099-R. However, the 1099-R should reflect the fact that your rollover is not a taxable event. The Box 2a "taxable amount" should be zero, and the financial institution should indicate to the IRS that the disbursement was a direct rollover by entering code "G" in Box 7. What Does 401(k) Rollover Mean? What Is a 1099-R Rollover? If you rollover funds from a traditional retirement account into a Roth-type account, whether in a direct or an indirect rollover, you owe taxes on any previously untaxed contributions. In this type of rollover, too, you will receive a 1099-R. In this case, the 1099-R should indicate in Box 2a the full amount of previously untaxed contributions being rolled over. This includes, for example, all contributions to a traditional 401(k) and any traditional IRA contributions for which you took a tax deduction. You owe taxes on the Box 2a amount, but assuming you make up the full amount of any withholding using outside funds, you will not owe penalties. By law, no one over the age of 59 1/2 owes penalties on any withdrawal from retirement accounts. In an indirect rollover, you withdraw cash from your retirement account and are responsible for depositing it into another retirement account within the legal window. With any indirect rollover, the financial institution should withhold 20 percent of the amount withdrawn for federal taxes. As with a Roth rollover, you must make up the amount of any withholding with other funds to complete the full rollover. As with any other rollover, you will receive a 1099-R reporting the disbursement. Because the institution does not know whether you completed the rollover, the taxable amount in Box 2a will be the full amount of your pre-tax contributions into the old account. However, the financial institution holding your new account should send you a Form 5498 proving that you completed the rollover, so that you will not actually owe taxes on the amount in Box 2a of your 1099-R.
You must report your rollover on your tax return even if the rollover is not a taxable event. For your rollover tax year, you will need to file a 1040 or 1040A tax return. Enter the full amount of the disbursement on Form 1040 line 16a or 1040A line 12a. Enter the taxable amount on 1040 line 16b or 1040A line 12b. Write the word "Rollover" on the dotted line next to this entry. If you are rolling over to a Roth, you should complete and follow the instructions on Form 8606 before making these entries.